Prakash College of Commerce & Science was established in 2001 as an institution to provide an opportunity to all students in the vicinity and bring about a meaningful transformation in the lives of young adults. 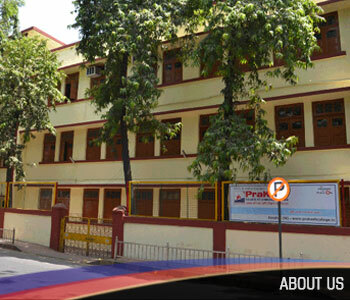 Today Prakash College has grown as the best degree college for Commerce and Science education in Mumbai Suburbs. This College is a community of faculty, staff, students, and alumni who are determined to improve educational and life outcomes and interrupt social and economic disparities in colleges and communities. Prakash College has worked for almost two decades to prepare teachers, principals, researchers, activists, and policymakers whose work focuses on positively impacting lives and forming healthy partnerships to transform students into responsible citizens. This top Commerce and Science College in Mumbai has the state-of-the-art laboratories with equipments for cutting-edge education, a free Wi-Fi enabled campus and all the high-tech modern amenities to empower students’ future. Prakashians are not only known for their excellence in academics but they also top the field of sports, N.S.S and other co-curricular activities as well. Making our institute well known as the best college in sports. Under the guidance of our Honorable trustees’, we at Prakash College inspire students to become men and women of integrity; the motivated faculty ensures that the students are trained in tune with the latest developments in the subject. We encourage students to excel not only in academics but also in co-curricular activities thus providing a holistic personality development. When students graduate, they are fully ready to face the challenges of life and their careers. We welcome you to be a part of a unique collaboration of our teachers, students, and technology in creating the finest individuals for a better tomorrow. In a nutshell, this Science and Commerce College is a marvelous institution which honestly caters to need of the hour – EDUCATION TO ALL.